Berkeley’s Southside Area is a heavily pedestrian-oriented neighborhood. 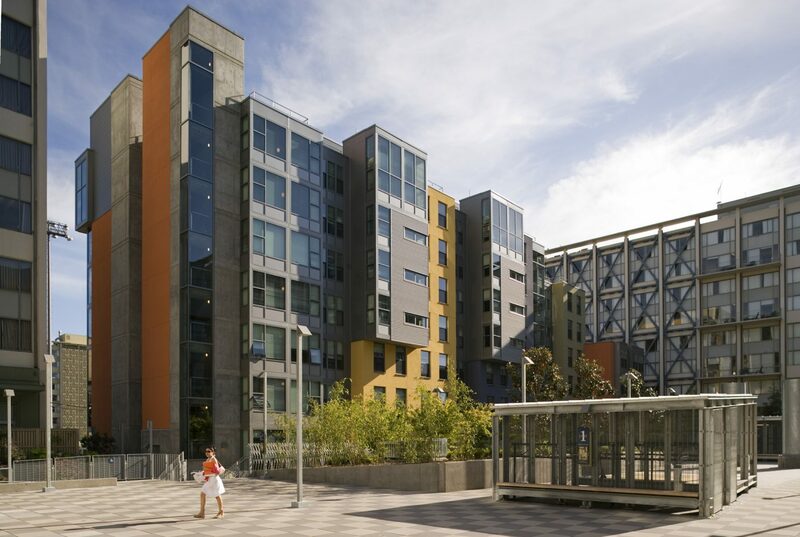 The design challenge facing EHDD was how to infill the existing streetscape with 874 beds in dormitory and apartment-style student housing for the University of California, Berkeley–and ensure it peacefully coexists with nine-story residential towers and smaller historic Southside Area neighborhood buildings. With careful attention to the scale and massing of the buildings, the design is responsive to the rich, eclectic character of the neighborhood through respect for and creative interpretation of existing architectural and urban characteristics. The buildings step from 4 to 7 stories in height. Sloped roof forms, bay windows and other building elements were added to articulate the building mass. Orienting the infill buildings to the street and activating the street façades with lobby entrances, apartment patios and elevated porches, exterior staircases, and landscaped walkways brings life back to the street and creates a safer, more pedestrian friendly environment. 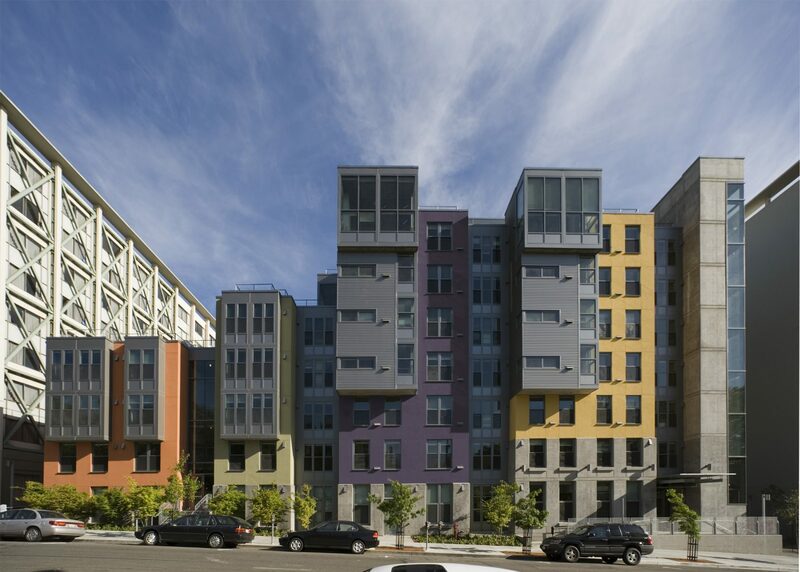 The name “Infill Student Housing” speaks to one of the primary sustainable strategies employed: Urban Redevelopment. 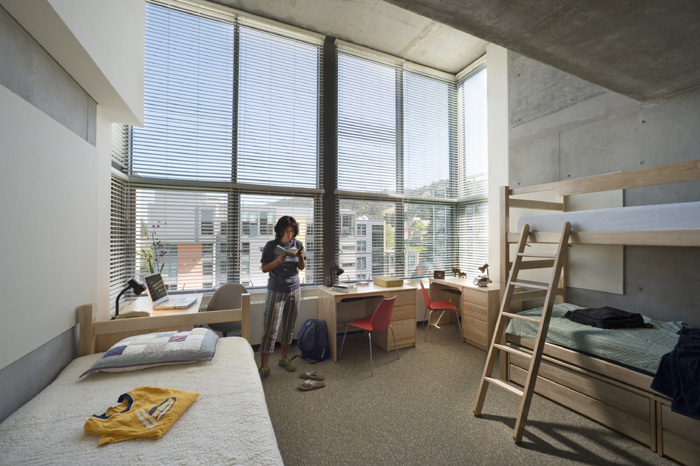 Students are within walking distance to campus, close to public transportation and have access to bicycle storage, helping to reduce dependence on automobiles. 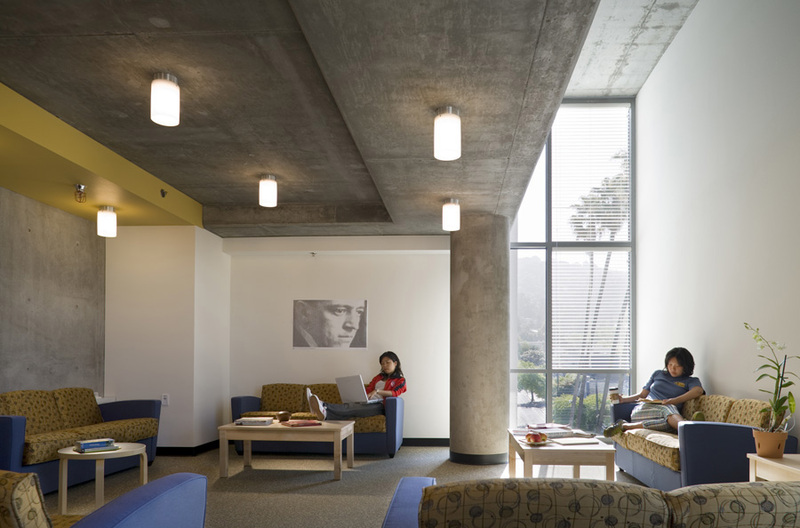 Comfortable, technologically-advanced and energy-efficient, this project was designed to be the equivalent of LEED Silver certification, with energy performance to exceed California’s Title 24 by 20%.